Since making waves at Mobile World Congress 2018, Android Go devices have slowly trickled their way onto US shores. Only one device was officially announced for the US at MWC, but several OEMs have extended availability to the US in the months since, and it looks like we just received another. Alcatel announced a few entry-level and midrange phones at MWC 2018, but none were given official US release dates. This changed recently when Alcatel confirmed that two of the devices will make their way to the US. While the Alcatel 3V is a more powerful phone, the Alcatel 1X is more compelling, because not only is it using Android Go, but its specs will challenge your expectations for a sub-$100 phone. While the resolution may not be impressive when compared to mid-range devices, for Android Go phones, this is the cream of the crop. Unlike the ZTE Tempo Go and Nokia 1 which uses an 854 x 480 display, Alcatel actually managed to include an 18:9 display. Additionally, the 1X has the largest display size of the bunch with 5.3 inches. For those looking at Android Go devices to consume media, look no further than this device. In another win for the 1X, the Alcatel device has the highest resolution among Android Go phones in both cameras. Because of its pricing, this should prove to be important, as other sensor features such as aperture and pixel size will vary less than they do for midrange and flagship offerings. So while this doesn't apply to other phones, with Android Go devices, the more megapixels the phone has, the better photos it will take. Alcatel included a few upgrades to camera software to help improve performance and take advantage of slighted more advanced specs. One example of this is Instant Collage. Instant Collage allows you to pick from a list of layouts and then adjust the viewfinder to capture the object to fit the collage layout. It is a fun way to create creative photos for social media. Photo Booth takes four photos in three seconds and then aligns them in a grid. By striking multiple poses, it replicates old photo booths at carnivals, providing a memorable experience that can be stored or shared with friends. Finally, Social Square takes advantage of the SoC's power by instantly making photos reviewable while keeping the viewfinder open. Especially for those of us who like take multiple pictures to capture the perfect one, this will greatly assist us with that. While both the ZTE Tempo Go and Nokia 1 have microSD expansion, only the 1X has more than 8 GB of internal storage when it comes to US Android Go phones. Therefore, after the OS is installed, users have access to more storage before needing to make an additional purchase of a micro SD card. Like all Android Go phones, the Alcatel 1X will run the latest version of Android, 8.1 Oreo, that is optimized for phones with lower specs. 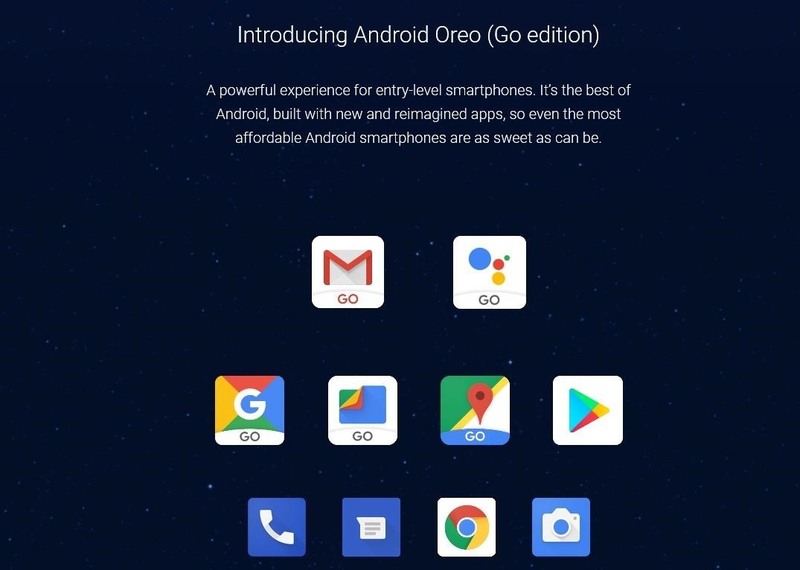 Particularly, Android Go was built for phones with 1 GB of RAM, allowing for similarly smooth performance to the full version of Android running on a higher-end device. For a complete breakdown of what Android Go is and how it differs from the Android One program, check out the link below. Don't Miss: What is Android Go & How Does it Differ From Android One? Unlike some of the models available in different markets, the US model of the 1X will include a rear fingerprint scanner. This small upgrade increases the chances of users using a secure lock screen. As it stands, we don't have an official date for the 1X US release. According to Android Central, the phones will arrive in "the coming months" with a price tag under $100. We will update as soon as more information becomes available. The Alcatel 1X is the first phone to push the envelope of what is possible at this price. While the other two US-bound devices follow a similar pattern for specifications, the Alcatel 1X went a bit further. Whether that translates to higher sales it up to you, but its performance will dictate the next wave of Android Go devices (as well as how long this program last). What do you think of the 1X? Are you excited about this device? Let us know in the comments below.